MyCRM Blog | Dynamics 365 and CRM – Why you need enhancement products! When it comes to Easter eggs and chocolates, most of us “older generation” have seen the taste quality and size of products diminish over the past couple of decades whilst packaging gets ever more complicated. There is however no doubt that the choice of what to consume is greater than ever before, with manufacturers dying for our attention almost from the moment we’ve packed away the tree in January. Much like the taste and flavours of the Easter goodies on offer, as good as Microsoft Dynamics 365 and CRM are, there remains little doubt that there is always room for improvement. The sheer number of additional products and applications available testifies that as good as the standard offerings are, you can always do things better by adding to the mix. Now, don’t get me wrong, I’m a big fan of Dynamics in whatever variety, whether 365 or good old CRM. Having been a user of it myself since v1.2 way back in 2005, I think I’ve enough first-hand experience to reliably inform potential users and existing customers just what makes it great…and perhaps the not so great. You see, whatever Microsoft does to improve the end user experience, you just can’t please all the people all the time. Today, whilst preparing for a webinar to highlight MyCRM enhancement products and how they improve productivity, I was reminded of one big issue which just won’t go away…TOO MANY MOUSE CLICKS! I was comparing how much effort and time our ePDF product saves when trying to output a Quote from CRM, which is to be emailed to a customer in PDF format. Well, the results were simply staggering, so much so that I had to do a re-test more than once to verify that my results were correct. Microsoft give you two options; firstly, you can produce your quote and then hit the ‘Run Report’ function. This will eventually allow you to send the quote as a PDF after some TWENTY mouse clicks and steps! It’s amazing to think that something so basic and most commonly required should be so long winded. If you are not familiar with doing this may I suggest you go and try it, trust me you’ll be wondering if we are actually in the year 2018. The second option is to use the more recently released function to ‘Print Quote for Customer.” Now this at least sounds more promising, however it is actually a rather painful process once again. Through the use of Microsoft Office integration, you’ll be guided through a mail-merge process which again will eventually output the report for you to save as a PDF before attaching to an email, whether from within D365, CRM or Outlook. Whatever route you decide on you’ll be looking at a minimum of FIFTEEN mouse clicks. If you’re unlucky you might even get lost somewhere in the mail-merge and data mapping process. Now OK, we can all live with it as it is, can’t we? I guess the answer could be yes but is this really how it should be, I mean come on, this really is 2018 and we are now several versions and 15 years on from 1.0 in 2003. 20 mouse clicks or 15 mouse clicks it makes no difference, producing a quote and being able to send it in PDF format remains totally tedious and unnecessarily poor use of a user’s time. Thankfully there are third-party products that make a better job of this. MyCRM’s ePDF being just one simple and cost effective solution which will save every user from the tedious task of what they actually want to do the most – GET THE QUOTE TO THE CUSTOMER and DO IT QUICKLY AND EASILY. With ePDF any quote (and any other report) can be produced as a PDF in just two mouse clicks. That’s about the time it takes to say “two mouse clicks”! If you want to email this report, then you’ll need one more click. So just three clicks compared to fifteen to twenty; now that’s what I call a productivity gain! So the next time you find yourself doing something in Dynamics 365 or CRM which is not as quick or easy as you think it should be, rest assured there will be enhancements out there which will make things work the way you expect them to. 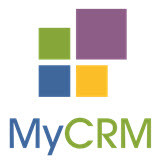 Check out the MyCRM download centre because the chances are you’ll find what you’re looking for here. Please remember this Easter that too much time taken to consume chocolate really isn’t going to do you much good. Much better to experience quality - something that is easier to unwrap and something that really does tastes great. Much like producing a quote from Dynamics 365 or CRM, your eating experience should simply be productive and something that leaves a long lasting sweet taste…not a completely bitter and disappointing experience.